Ubisoft has reported that their newest title Assassin's Creed 2 has outsold the original game in its first week of sales. How well you ask? In its first week since launching, Assassin's Creed 2 sold 1.6 million units worldwide. This translates into a 32% increase compared to the first week of sales for Assassin's Creed. 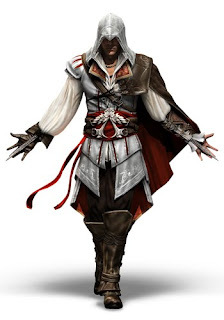 This must be highly positive and satisfying results for Ubisoft as there has been much talk about whether or not gamers would respond well to Assassin's Creed 2 based on the mixed reviews and reactions that were tied to the first game. With Assassin's Creed 2, it appears Ubisoft has listened to all of the feedback and developed a game that goes far beyond what the original offered. This is evident from the overwhelmingly positive review scores for the game. Metacritic has a metascore of 92 percent for the game. Not too shabby.